Global Giving pages now complete - Fund raising to cover cost will be arranged in the coming months. The transit team of five volunteers leave Bodmin on 7th May 2019 and at the moment there is still a spare crew seat on the Fire Appliance. This seat could be yours for the 2000 miles journey across some of the most beautiful scenery in Europe. 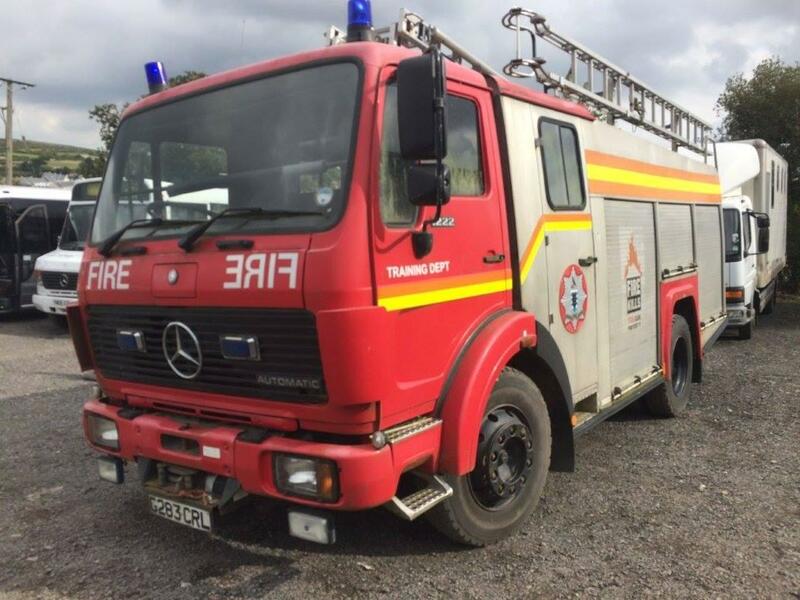 Just get in touch to find out how you can join the team taking this valuable fire appliance (and all the other gear) to a community in desperate need of life saving equipment. PR reports that arrangements are well in hand for transit journey to Albania to leave on 5th May. A full crew have been secured - some minor works are still to be done on the Fire Appliance, which is in hand. Other fund raising to cover £2500 cost of transit has not yet got ant momentum !! Report 13th Jan.2019 - GLOBAL FUND RAISING has currently finished and a total of approx. £370 was donated towards a min of £2500 is required which will be funded in other ways. This project will not only save lives but will give the community a focus on fire safety and prevention -creating employment for the local community will have a positive impact on the local economy and on their individual families. In August 2017, Albania was hit by one of the worst wildfire seasons in recent times, with fires raging across the country. Authorities said wildfires burned throughout the week, with up to 20 hot spots were seen in one week. During the crisis, their Prime Minister Edi Rama said that all state structures were being used in the emergency, despite the need to have greater firefighting capacities in place and that their capacities remain low in the face of such a serious threat. During the fires of 2017, the country's Defense Minister said 40 percent of the country's active duty personnel were involved in the firefighting operations and urged people to come together to fight existing fires and prevent new ones from starting. People can only do this if they have the right equipment, the right training and the right support. This project will address this - it will provide the skills and appliance to ensure that the local community is competent in fire defence. The long term impact of this project is skilling up of the local community to save lives through fire safety practices intended to reduce the destruction caused by fire - Fire safety measures include those that are intended to prevent ignition of an uncontrolled fire, and those that are used to limit the development and effects of a fire after it starts. An impact upon the local community and families, is that the project will provide employment and have a positive effect on the economy.